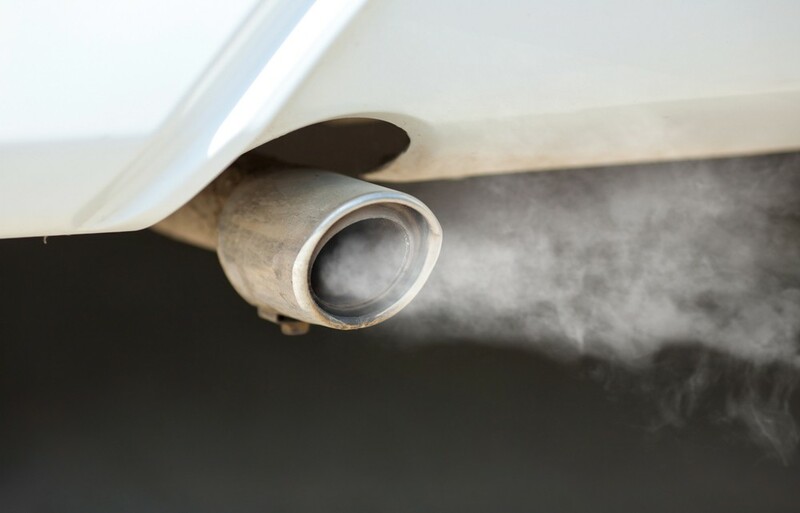 The European rules that affect the exhaust emissions from our cars were first introduced back in 1970, and ever since these European emission standards have been periodically reviewed and improved. The result is that the cars on our roads are now ‘cleaner’ then they have ever been before, and their emissions will continue to get cleaner in the future. Under the European exhaust emission rules, every new car that is made and put on sale in the European Union is subject to a variety of environmental and safety tests to ensure it conforms with the stated guidelines. Following the first Euro exhaust standard that came into effect in 1970, the next major change came in 1992 when the Euro 1 standard was introduced. Since there has been regular updates with the Euro 2 emissions standard in 1996, Euro 3 emissions in 2000, Euro 4 emissions in 2005. Euro 5 emissions in 2009 and Euro 6 emissions in 2014. Are you covered by insurance if you put the wrong fuel in your car? What is produced by combustion? Our vehicles burn what is called ‘hydrocarbon’ fuel (diesel, petrol) with air in the engine, and so in theory should only produce carbon dioxide (CO2) and water (H2O) as by-products of this process – as well as nitrogen (N2) that comes in as part of the air. However, the fuels we use are made up of hundreds of slightly different hydrocarbons that are structured in different ways and burn at different rates. This means that in reality our exhaust emissions contain chemicals that were only burned partially, some that reacted with other chemicals during the burning process and some that reacted with the nitrogen. Carbon Dioxide (CO2) – technically this is a non-toxic gas but in excessive volume it contributes towards acidification of oceans and as such is one of the most important greenhouse gases. Carbon Monoxide (CO) – this comes from incomplete combustion of fuel and can cause headaches, respiratory problems and, in extreme circumstances, even death. Oxides of Nitrogen (NOx) – these are produced in any combustion process and contribute to acid rain. In people, they can cause inflammation of the airways and trigger asthma. Sulphur Dioxide (SO2) – occurring naturally in the crude oil used to refine petrol and diesel, sulphur forms acids when burned which can lead to acid rain and engine corrosion. Hydrocarbons (HC) – these come out of exhausts as unburnt fuel and also evaporate from the fuel tank and from the nozzle when you fill up at the petrol station. HCs react with NOx in sunlight and create photochemical oxidants (like ozone), which are a leading cause of increased asthma symptoms and general breathing problems. Benzene (C6H6) – this occurs naturally in petrol and diesel in very small quantities (less than 2%) and is also emitted from vehicle exhausts as unburnt fuel and evaporation. Benzene is a toxic and carcinogenic substance, with long-term exposure being linked with leukaemia. Lead (Pb) – lead accumulates in body systems and is known to interfere with the normal production of red blood cells. Thanks to the introduction of unleaded petrol lead has now essentially been eliminated from exhaust emissions. Particulates (PM) – particulate matter is partly burned fuel and is mostly associated with diesel engines. PM10s and the smaller PM2.5s particles can pass deep into the lungs and lead to a range of respiratory complaints and cardiovascular diseases. Modern diesel cars are fitted with Diesel Particulate Filters (DPF) to stop these particles passing into the atmosphere. The Euro 1 emission standard was introduced in 1992 and paved the way for unleaded petrol and the fitting of catalytic converters to reduce the carbon monoxide emissions of petrol cars. The Euro 2 emission standard followed on from the precedent set by Euro 1 to further limit carbon monoxide emissions as well as reducing the levels of unburnt hydrocarbons and nitrogen oxides. Euro 2 also introduced different emissions limits for petrol and diesel cars. The Euro 3 emissions standard changed the procedure under which vehicles were tested in order to eliminate the engine ‘warm-up’ period and further decrease the level of diesel particulates and carbon monoxide. Euro 3 also introduced different NOx limits for diesel engines and separate HC and NOx limits for petrol engines. The Euro 4 emissions standard came into force in 2005 and was focused on the emissions of diesel cars – particularly reducing oxides of nitrogen and particulate matter. The Euro 5 emission standards further reduced the limits on particulate emissions from diesel cars, with all diesel engines being required to have particulate filters. NOx limits were also tightened further, and a new particulates limit was introduced for direct injection petrol engines. The Euro 6 emission standard introduced a further, significant reduction in NOx emissions from diesel engines and established similar limits for petrol and diesel. Exhaust Gas Recirculation (EGR) – replacing some of the intake air (containing 80% nitrogen) with recycled exhaust gas – reduces the amount of nitrogen available to be oxidised to NOx during combustion but further exhaust after treatment may be required in addition to the Diesel Particulate Filters required to meet Euro 5.